PrimeTime® qPCR Assays Maintain Efficiency Under Fast-Cycling Conditions. 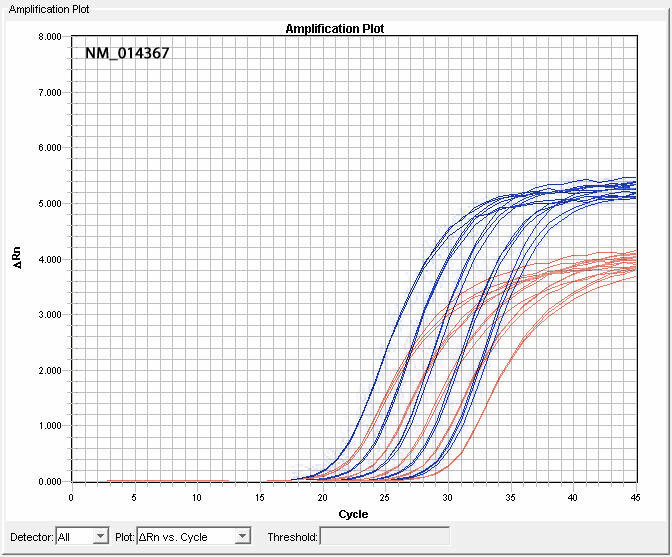 25 PrimeTime qPCR Assays (blue curves) were compared to equivalent Competitor A assays (consisting of 15 inventoried pre-designed assays and 10 made-to-order pre-designed assays; red curves). To ensure an accurate comparison was made, the PrimeTime Assays and Competitor A assays were selected to span the same exon boundary of each gene. 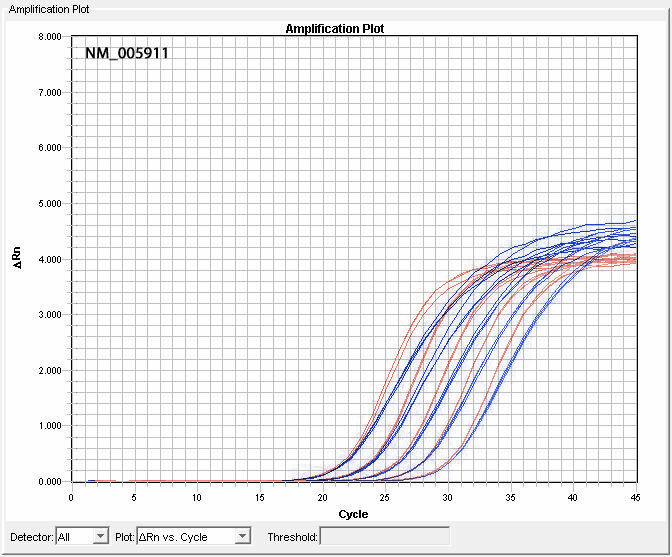 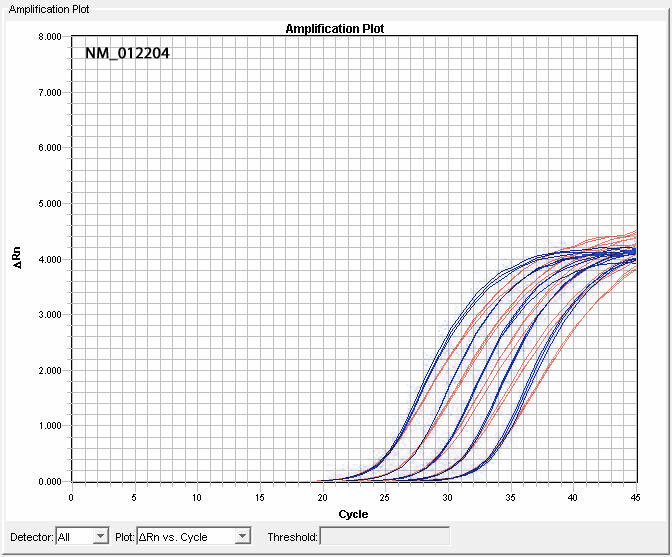 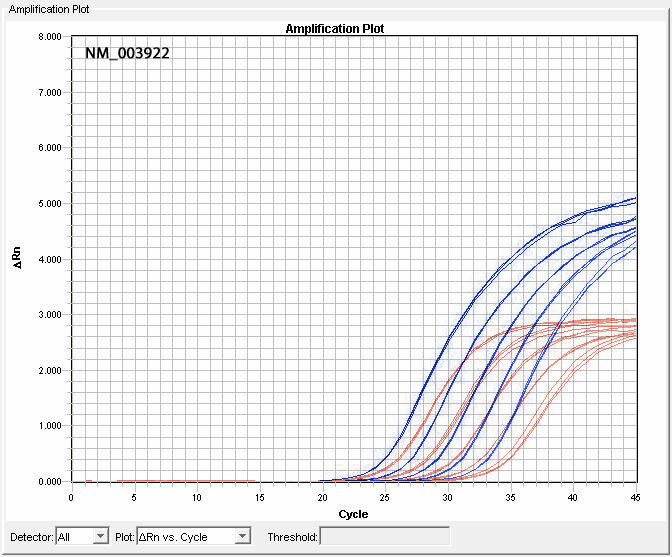 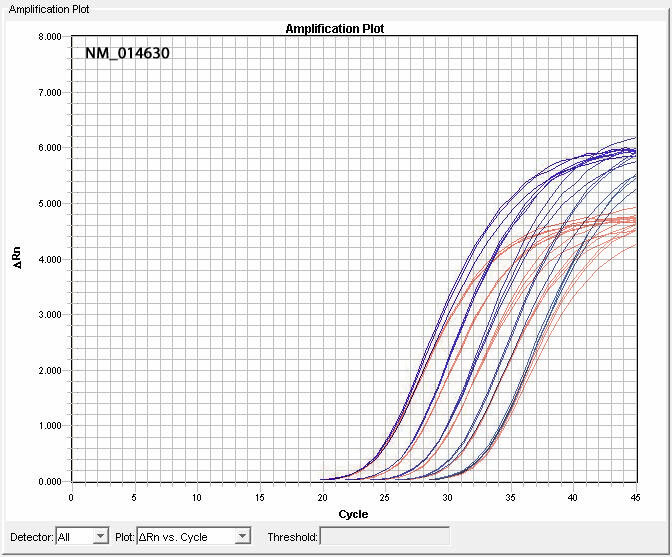 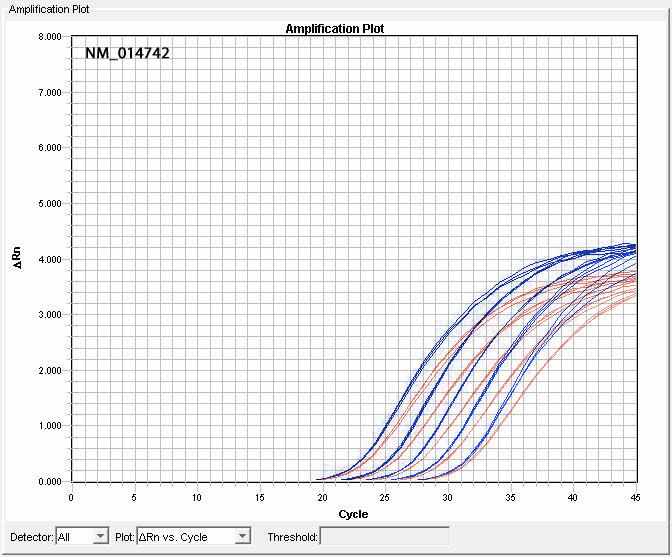 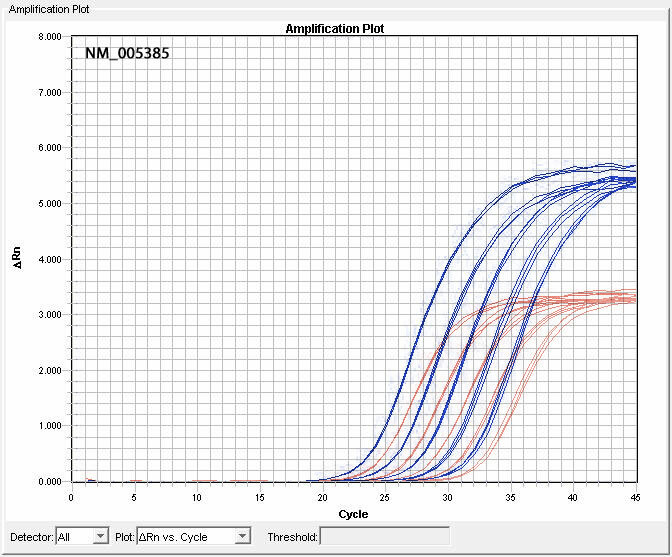 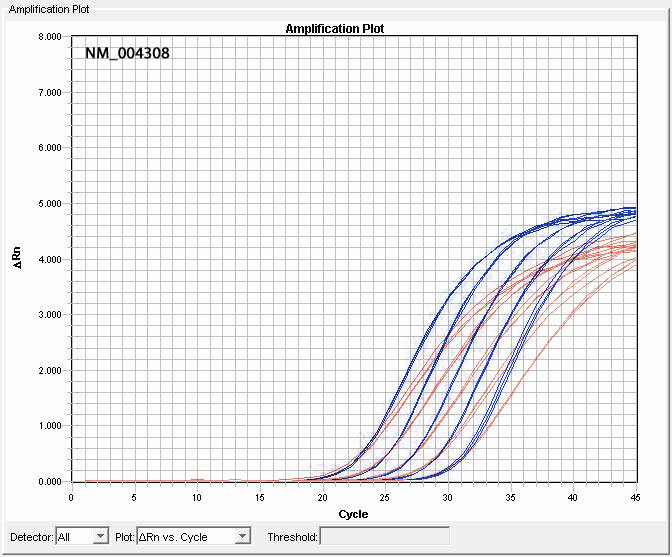 Reactions included five 4-fold dilutions cDNA template and the Applied Biosystems TaqMan® Gene Expression Master Mix, and were run on the ABI 7900HT Fast Real-Time PCR System with the following PCR cycling conditions: 2 min. 50°C; 10 min. 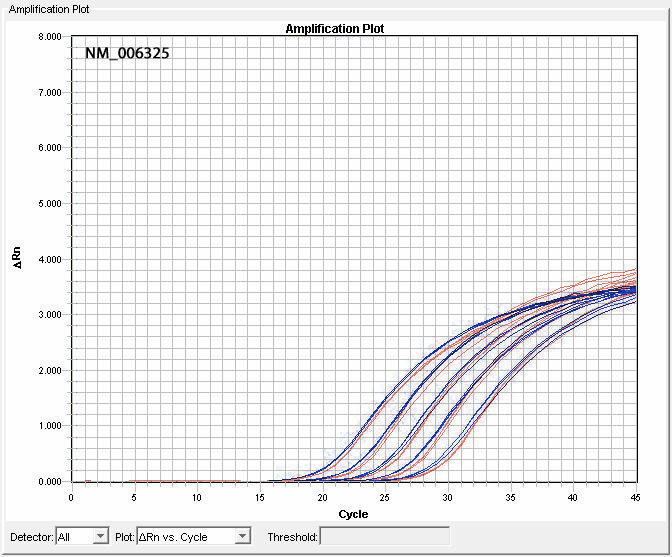 95°C; 45 x (15 sec. 95°C, 1 min. 60°C). 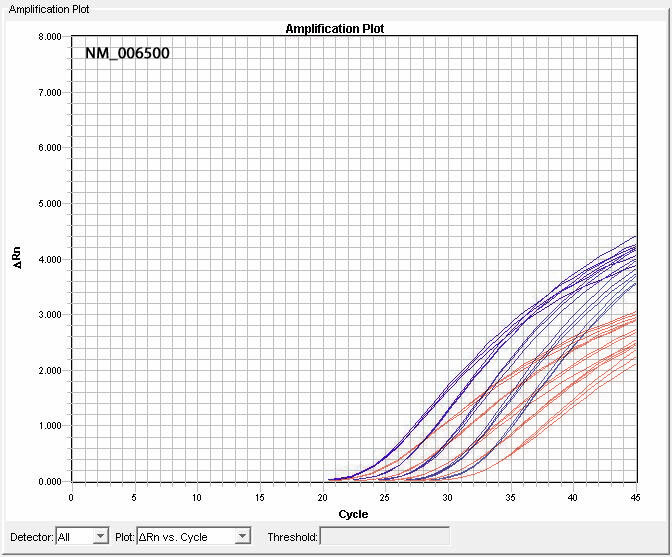 Identical thresholds were set for all runs for comparison across assays.